CLUBBERS at one of Co Donegal’s most famous nightclubs were furious early today after it was closed – just an hour after opening. Gardai were seen entering the premises and talking to staff at The Dodge niteclub in Gaoth Dobhair around 12.30am. Shortly afterwards punters were told to leave the premises. 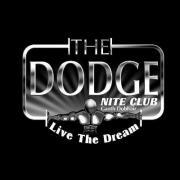 Several people who attended the Dodge last night said they didn’t get their entry free returned. In a statement on its Facebook page, a club spokesperson said: “Due to an electrical fault tonight, we have had to close the nightclub.